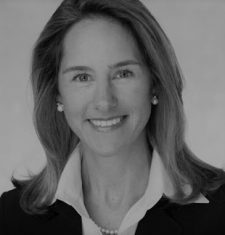 Linda Derrick is a Managing Director at BNY Mellon, where she is the Global Head of Client Service for Corporate Trust. Linda leads long-term and strategic planning for Global Client Service focused on improving the overall client experience. She leads key client service initiatives and priorities to achieve the highest level of client satisfaction. Prior to her current role, Linda was the Investment Services Chief Administrative Officer and Global Head of Business Improvement Process. Linda led the transformation strategy across Investment Services (IS), Client Service Delivery, Technology, and Markets. She also worked closely with Investment Management and business partner groups to achieve growth and change objectives. Linda joined the company in 1993 and held various marketing positions in PC Financial Network (an early leader in online brokerage) before joining Pershing’s Marketing and Communications Group, where she went on to become the head of Client Communications and Planning. She received five Pershing Leadership Awards and a Super Achiever for her contributions to the business. Linda serves on the Board of Directors for the YWCA of NYC. She is a member of the WIN Operating Council, a co-chair of its External Partnership group, and has co-leadership responsibility to manage the relationships with the Financial Women’s Association and Women’s Bond Club. Linda has served as chair of Pershing’s Client Solution Review Committee, co-chair of Pershing’s Sales Force Automation Advisory Board, chair of the Groupware Web Governance Committee and chair of Pershing’s Cultural Appreciation Network (currently known as IMPACT). Prior to joining Pershing, Linda worked as an Account Executive for Keonig & Associates, an advertising agency that serves the healthcare marketplace. She earned a Bachelor of Science degree in Finance and a Master of Business Administration degree in Marketing from Old Dominion University. She has also completed the Securities Industry Institute® program, sponsored by the Securities Industry and Financial Markets Association (SIFMA), at theWharton School of the University of Pennsylvania.